There's always that misconception that only two or three decks can win in a given metagame. Try as I might to write that that simply is not the case in the introduction to BTL's Meta Snapshots, that concern is echoed by many in relation to the perceived tier one decks by myself and the rest of the snapshot team. 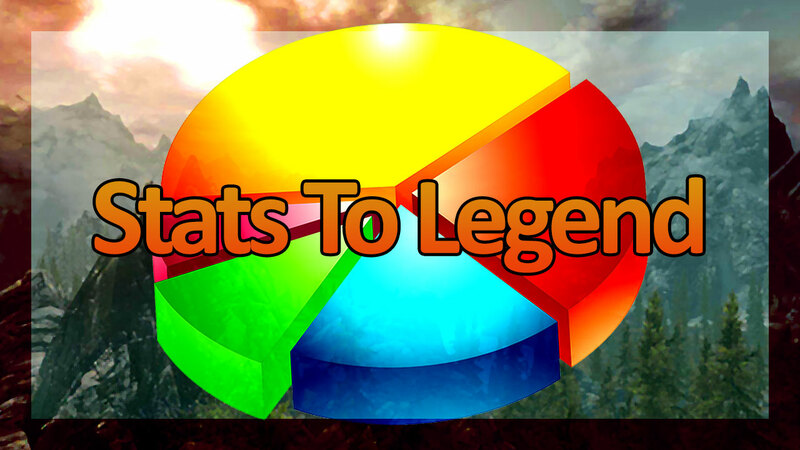 To help assuage some of those fears, and because I know many people are interested in stats, I've decided to post mine from my grind to Legend in the first four days of this month and go over some of what they might mean. In addition, it's worth noting that while I didn't go into the grind planning to do this on purpose, I used none of the tier one decks from the Snapshot - so no Sorcerer, no Scout, and no Aggro or Merric Battlemage. Without further ado, here are all my games from the first four days of this month. As you can see from the top right corner, I was able to maintain a 62% (after I rounded correctly) winrate over 110 games despite not using any of the perceived tier one decks. Granted, even 110 games isn’t a huge sample size, but I’ll likely be doing more of these articles as I continue to play this season. While there’s no doubt that several other of the decks I used, like Midrange Archer, are very powerful, there are also several “meme” decks woven in which dragged the winrate down. I played these either due to chat request (since I streamed almost all of these games) or because I wanted to test new concepts, so it can’t be fully said that I was only “try-harding.” These include both Monk variants, the Gardener of Swords Battlemage, and Swindler’s Market Assassin. The most successful deck as far as winrate goes was Orc Crusader, a deck people still discount but is very well positioned against many of the popular Midrange strategies. That being said, the sample size is especially small for that deck. More impressive to me are the Midrange Archer/Action Assassin winrates at over 70% across more games. It should be noted that the Aggro Crusader list was notably different from the Orc Crusader list, even more than usual; the Aggro Crusader I was testing didn’t run a single card over three magicka, and the only non-Strength cards were three Descendant of Alkosh. I was testing what was, in my eyes, potentially the fastest deck on the meta and I may indeed revisit it soon. The idea was to play a high risk, high rewards situation where with the best draws against no insane propechies, the deck could curve under literally any other deck. It is also worth noting that the Archer lists weren’t typical Midrange Archer lists. The first three days, I was testing a slight variation of TurquoiseLink’s Archer that played a slower game with three Vigilant Giants and no Soulrest Marshal, using Pahmar-raht Renegades instead. The “Curse” Archer was similarly teched against aggression with triple Curse, triple Goblin Skulk, and again, no Soulrest Marshals. Both of these decks play a more reactive game than the traditional Archer decks which partially explains the above-average winrates both held against other Midrange decks in particular. In the above image, I’ve broken down the instances of specific decks as I went up the ranks. This is by no means every deck I played against, and all classes were indeed accounted for as you can see in the first spreadsheet, but these are some of the more common and the decks many people generally perceive as “the best” or even “oppressive.” Hopefully my stats can prove that over a large sample size (even though the one I’ve presented isn’t as large as I’d like) it’s hard to call one deck oppressive at the moment. With a healthy balance of Aggro, Midrange, Control, Ramp, and experimental decks that didn’t make the second spreadsheet since only one or two people played them, I’d call the metagame balanced. While I personally would rank Action Assassin specifically higher than most in the Snapshot, it’s also definitely possible to grind far up the ladder and hit legend with decks that the majority might not perceive as “top-tier.” The different variations of Archer I used, in addition to the fact that my Control Spellsword teched relatively heavily against Aggro, show that matchups can be changed or at least slightly bettered with the correct card choices if you know what to expect in the meta. For specific lists of some of these decks as well as gameplay videos if you don’t catch my stream, I recommend my YouTube channel. Hopefully this article has aided you in some way in your grind up the ladder, or at least given you a bit of insight into what to expect. Until next time, good luck on the grind! CVH is an avid player and streamer of TES: Legends and the owner of Between The Lanes. With competitive experience in many card games since the age of 11, most notably Kaijudo and Hearthstone, card games and creating content for them are longtime passions. In TESL, he has fourteen top 100 legend finishes and can be found regularly on Twitch and YouTube.